Didier Le Calvez is a living legend in the hotel industry, although he would hate us to say so. When we met he was straight off a long international flight but you wouldn't have known it; his answers were razor sharp and full of insight. He was charming, interesting, and ... tall. And keen to show off his new toy, an iPad loaded with photographs of the beautiful Hôtel Le Bristol. Le Calvez joined Hôtel Le Bristol Paris in March 2010. 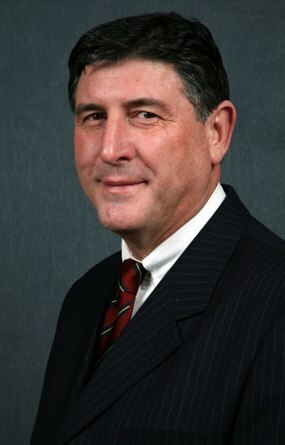 However he has been a prominent figure in the international luxury hotel industry for 35 years, many of which were spent with the Four Seasons group, where he was Vice-Chairman in France and Portugal. The New York Plaza, Hôtel George V in Paris, the Regent in Singapore and New York's Pierre hotel, have all benefitted from his magic touch. 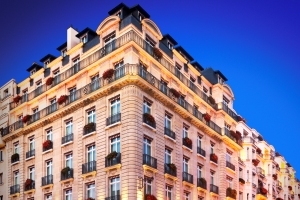 It was to M. Le Calvez that the Four Seasons group entrusted the reopening of the Hôtel George V in Paris in 1999. 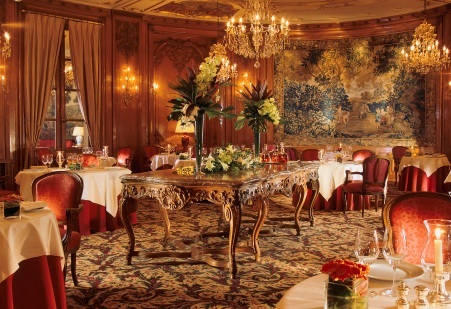 Under his management the George V became one of Paris' most illustrious hotels and was named World's Best Hotel by Andrew Harper's Hideaway Report seven years running and World's Best Hotel by Institutional Investor. Throughout his career he seems to have had the ability to make every hotel in which he worked an exceptional place. Hôtel Le Bristol was this month named one of only eight French Hotels to be awarded the title of 'Palace' by the French Government. What inspired you to get into the hospitality business? I don't think I knew that was what I was doing, my family had no history of hospitality and twenty years old or so you don't necessarily realise you are picking a career. What inspires me about the business now is that as a CEO you are dealing with every single aspect of a business - that is very exciting. What is the single best/defining thing about Le Bristol? That it epitomises French culture, but French culture that is approachable. All the pieces of furniture in our hotel are one-offs; we have a great art collection and antiques. 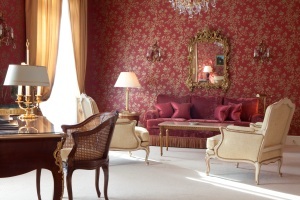 Our hotel is very individual too each guest room (designed by the owner Maya Oetker) is different. All elegant and understated. We also have the largest bathrooms in Paris. A very special kind of personal service. When I took over [Hotel] George V twelve years ago it was all about applying international standards of streamlined service to the Parisian situation. These days it is about teaching staff to deal with each individual in a different way, especially at a hotel such as Le Bristol where we have a lot of repeat guests (up to 45-50 per cent). So it is all about getting staff to realise there is no one approach to guests... to use their initiative and bring very personal service into play. It is an interesting time in Paris with several new five star hotels opening this year - Shangri-La, Raffles, Mandarin Oriental, Peninsula - and MO and Peninsula bring very high levels of service, so we will have to do something even more special. Space is luxury in terms of hotel rooms but real luxury is an understated thing, you can't proclaim that you are luxurious. True luxury has a certain style it is an understated. For me real luxury is never ostentatious. Apart from your own, what are your favourite hotels/resorts? The Mandarin Oriental in Bangkok. I lived in New York for many years and I could have stayed there. People think of it as a busy city and it is but they forget that only 45 minutes outside is countryside so it really has everything. There are so many I travel a lot and the world is an exciting place. There were some islands off the coast of Oman which I visited which were beautiful but I have only been to them once. As I get older I think the call of where we come from is strong, so I would say that my favourite place is where I grew up on the west side of France. Mongolia, South America, especially Peru. Sometimes you have to wait until the time is right to go to a place, until it feels right for you. I only went to some of my most dreamt of places relatively late in life. A private jet. A frequent guest of the hotel who is also a friend of mine was coming to stay and I was telling him how we would pick him up from the airport in a limousine and organise special VIP to make his passage through the airport easier and he politely let me finish and then hesaid,"But I have a private jet, so for me it is always easy".